In actual fact, I'm not the one who chose this recipe. It was my son. Based on the name of the bake, my son told that this salted caramel apple pie from the book, The Back in the Day Bakery cookbook must be super yummy and I have to bake this! Before informing Joyce and Lena my choice, I had a closer look of this recipe and thought that I really like it. I have noticed that I don't have to pre-bake the pastry or pre-cook the filling before baking the entire pie and also like the addition of salted caramel to enhance its taste. Instead of baking one 9-inch or 23cm round pie, I have used half amount of the pastry and one third amount of the filling to bake eight little 7 cm pies. According to the recipe description in the book or here, the grandmother of the authors used to make this old fashioned flaky pie crust with lard. LARD!!! - I can see the beauty of this classic pastry ingredient but NO way that I'm using lard! Fortunately, this recipe has been changed to use a 1:1 ratio of shortening and butter. For my pastry, I have used a ratio of 1:5 ratio of shortening and butter instead and still managed to yield a lightly flaky pastry for my little pies. First, I made the pastry by cutting in the butter ans shortening into small peas. Instead of using an electric mixer, I used a wooden spoon to beat the caramel until it looks combined. 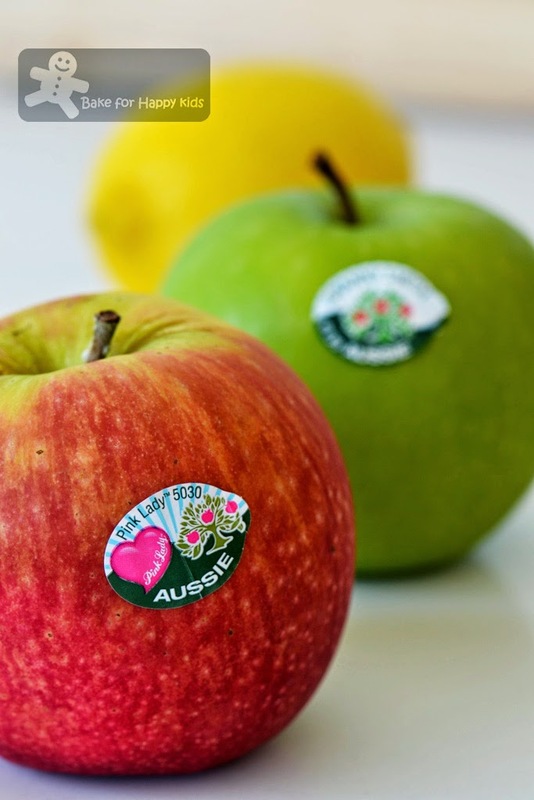 These are the two gorgeous apples that I have used. This step is easy - Just combine all filling ingredients together. Roll and cut the pastry. No blind-baking required. 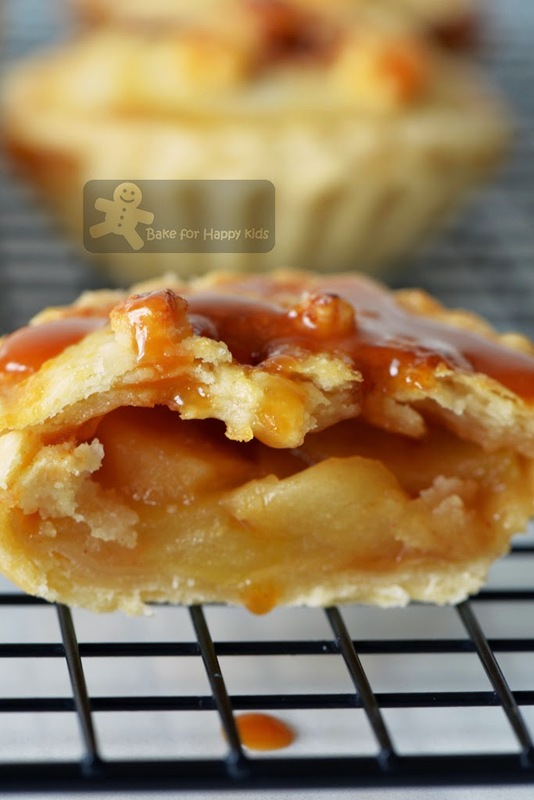 Just top the pastry with apple filling and a dollop of the caramel. Assemble the pies with pie lids. A final touch: Brush the pies with egg wash and sprinkle extra sugar and salt. Beware!!! The bubbling-and-over-flowing caramel and the sprinkle of sugar might cause the pies to burn. Cover the pies loosely with foil if the pies start to brown before the apple filling is cooked. Gosh!!! Lucky me... Only one of my pies is slightly burnt. The rest are beautifully baked!!! Wait wait wait... The story of my bake is not over yet. ... and drizzle on the apple pies when you are enjoying them! Thanks, son! You are right! This is a fabulous recipe! 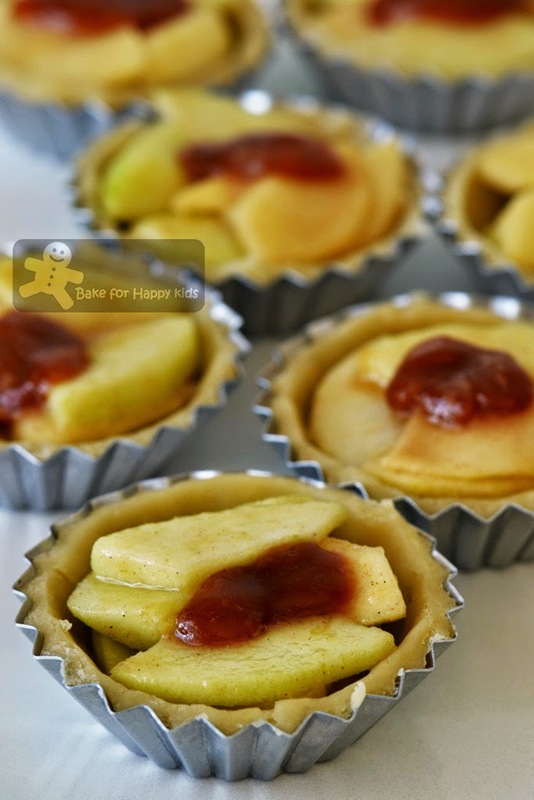 These little apple pies are super yummy! Here's my adapted version from the book, The Back in the Day Bakery Cookbook by Cheryl Day and Griffith Day or here and here. In a large mixing bowl, whisk together the flours, sugar, and salt; set aside. 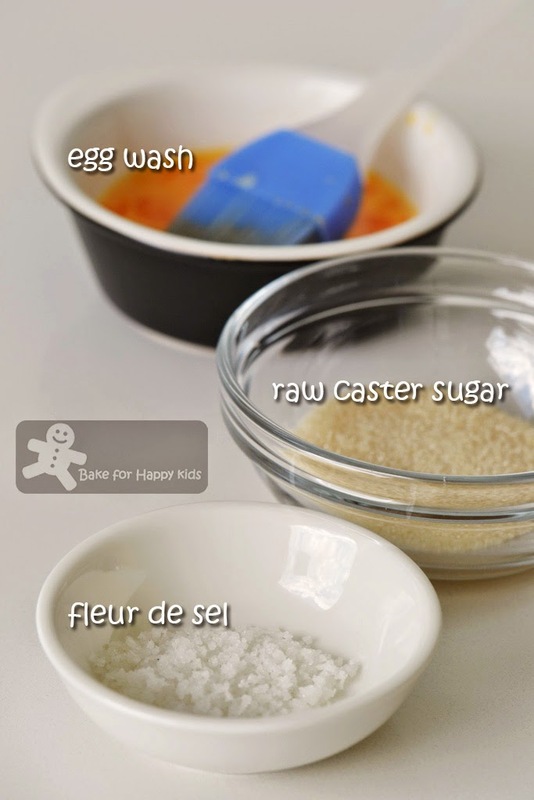 In a small bowl, combine egg, water and vinegar. Add the shortening and butter to the flour mixture and use a pastry blender, two knives or your finger tips to cut or rub the added fat into the flour mixture until the mixture resembles small peas. Add the egg mixture, gently tossing and mixing with your hands or a fork just until the dough comes together in a ball. If the dough seems too dry, add a little more ice water, about 1 tablespoon at a time as necessary. Gather the dough together on a lightly floured work surface. Wrap the dough in plastic wrap and chill for at least 1 hr. The dough can be stored in the refrigerator for up to 4 days or in the freezer for up to 2 weeks. Combine the sugar and water in a medium saucepan and cook over low heat and stirring until the sugar is dissolved. 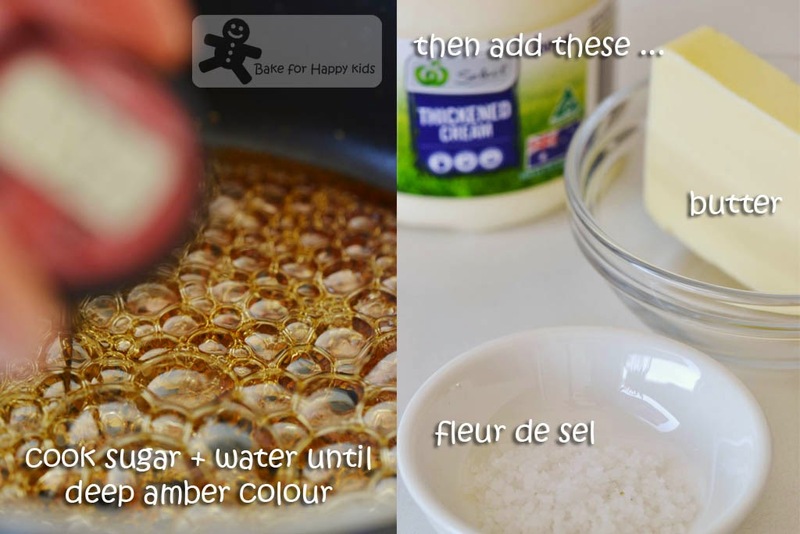 Increase the heat to medium and cook the syrup without stirring until the syrup becomes a medium-dark amber colour (when the candy thermometer indicates 180°C or 350°F) and this step can take about 15 mins. Carefully remove the pan from the heat and immediately stir in the butter and heavy cream. 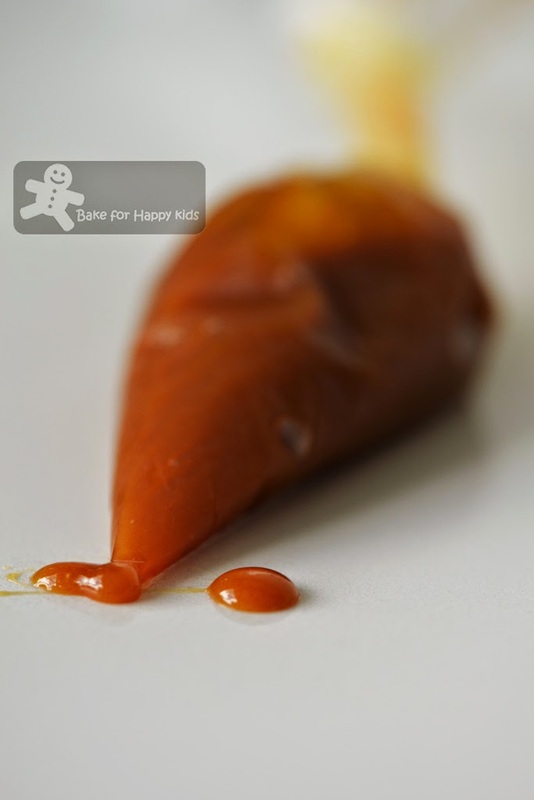 Be careful of splattering caramel at this addition step. Do not worry if the butter starts to separate as it will come together once the caramel is cooled. When the caramel is cooled to room temperature. 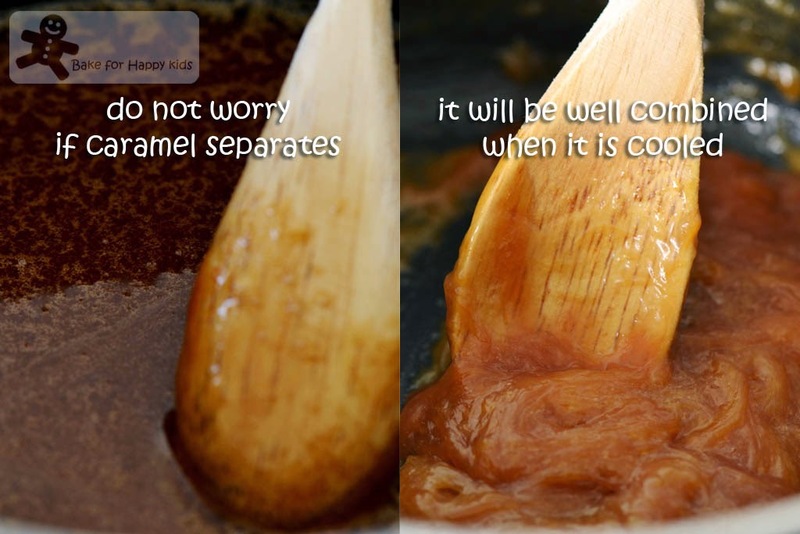 You can either transfer it to the bowl and use either an electric mixer or a wooden spoon to beat the caramel until well combined. Set aside. 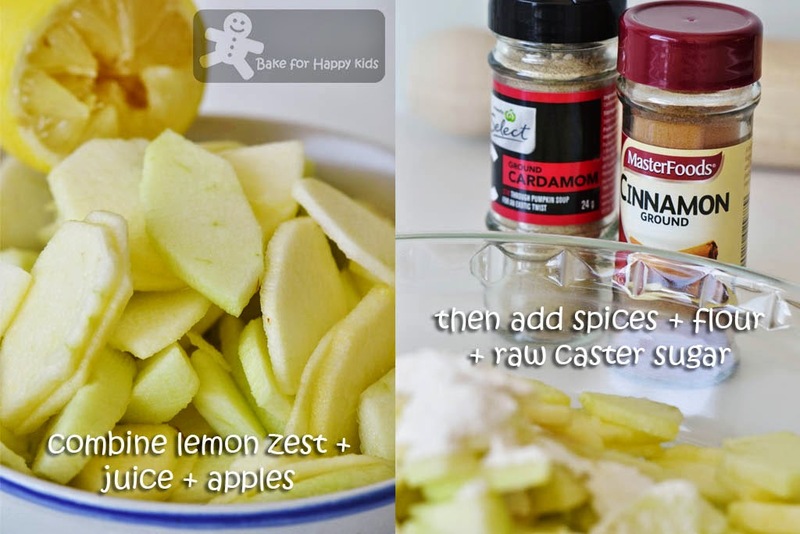 In a large bowl, toss apples with the added lemon zest and lemon juice. In a small bowl, combine together flour, cardamom, cinnamon, and turbinado sugar and stir in the flour mixture into the apples. Dust your hands and your rolling pin with flour. On a lightly floured piece of baking paper or any non stick mat or surfaces, roll out the chilled dough into pastry with 3mm thickness. Using a 10 cm round pastry cutter, cut the rolled pastry eight into rounds and line the rounds onto the 7 cm tart tins. Carefully press the dough onto the tins and trim any excess dough. Prick the lined pastry gently all over with a fork. Layer apple slices into the lined pastry, making sure there are no gaps between the apples. Spoon a dollop of caramel (about 1 tsp) on top of the apples. Reserve the remaining caramel for serving. Gather all the unused dough. Roll out the remaining dough into pastry with 3mm thickness. 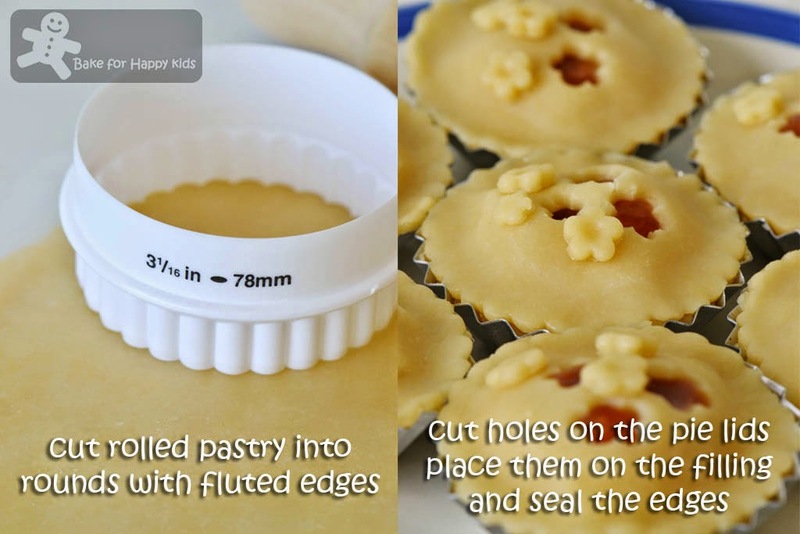 Using a 8 cm round fluted pastry cutter, cut the rolled pastry into eight pie lids. Using a really small cutters, cut 3-4 vent holes in the center of each pie lid and reserve the cutout pieces to decorate your pie. Place the pie lids over the pie filling and press the edges to seal. Place the cutout pieces of dough to decorate your pie lids. Cover the assembled pies with plastic or cling wrap and chill them in a freezer for at least 30 mins or a fridge for at least 1 hr. When ready to bake, position a rack in the lower third of the oven and preheat the oven to 400°F or 200°C or 180°C fan forced. Brush the pies with the egg wash. Sprinkle lightly with turbinado sugar and a pinch of fleur de sel. Place the pies on a baking tray lined with baking paper and bake for 10 mins. 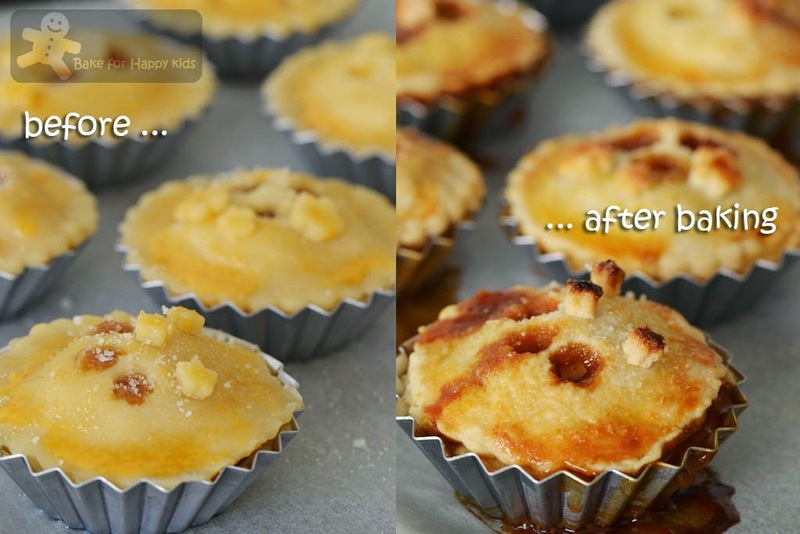 Reduce oven temperature to 340°F or 170°C or 150°C fan forced and bake for an additional 30 mins, until the apple fillings are thoroughly cooked and the pie crusts turn golden brown. If the pie crusts start to brown too quickly before the fillings are cooked. Place a layer of foil loosely on the pies and continue to bake until the fillings are cooked. Remove from the oven and allow the pies to cool slightly (about 10 mins) before transferring them onto a wire rack to cool completely. To serve, place the remaining caramel in a piping bag and drizzle each of pie as desired. The pies are best served the same day, but it can be covered with plastic wrap and refrigerated for up to 3 days or kept frozen up to 1 month. 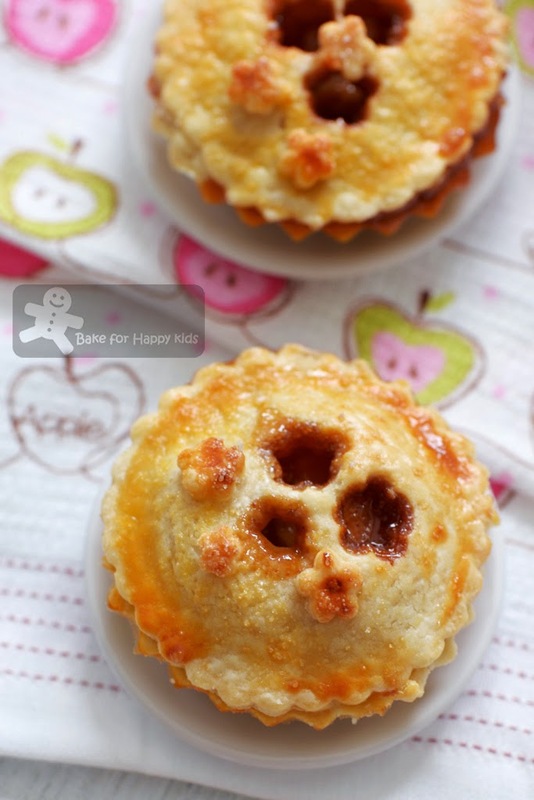 Your little salted apple pies look so so so cute and too cute to eat! They look like savoury pies, and if you don't tell, I would think they are meat pies or chicken pies or curry chicken pies or tuna pies, oh dear, you are making me hungry early morning.. Now, I'm craving for tuna&muchroom gratin puffs from Delifrance.. Sigh..
aww look adorables and delicious!!! the sound of salted caramel already makes me salivate!!! this is a lovely bake.. i had to throw out a jar of homemade salted caramel before i left... sigh.... i should hv done this.. should hv..
Hi 5 to your little boy for selecting this recipe and another Hi 5 to mommy for agreeing with him! My daughter really liked this apple pie. Eating it with the gooey sticky caramel is so yummy, and I like it that the pie is not too sweet. 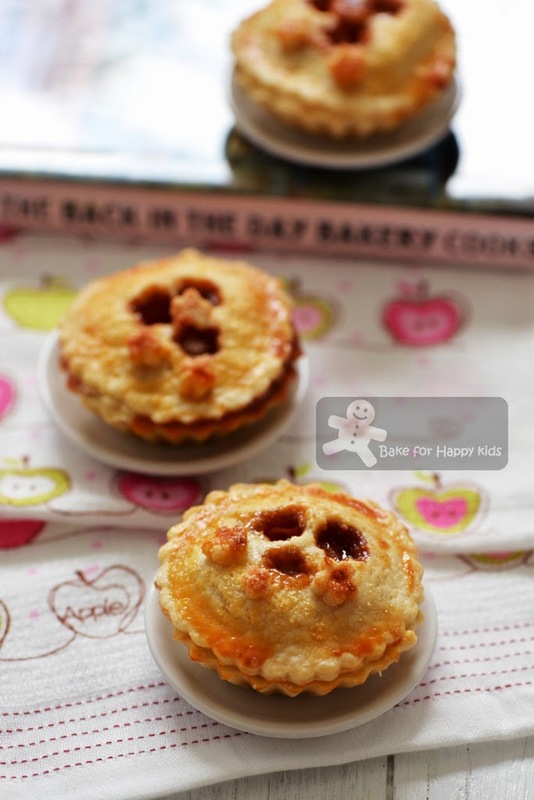 Both you and Lena have made mini pies, and they look fabulous! p/s: Yeah, the NM pastry book is simply awesome! wink...!!! Oh my goodness Zoe! Your son made a wise choice! These are just oozing out hot delicious goodness! I totally need to make an apple pie! That will be the first thing I bake once our wall oven is working again! It's been out of order for 2 months now! They are so cute and look delicious. Love your pretty yummy mini salted caramel apple pie ! This look s like fun project! And they look so adorable! yummm!!! bet these tasted delicious!! Zoe, your little pies are adorable! I bet your son was so happy you baked his choice :) I've got to try baking apple pie one day. Wow looks good. I salute you, lena n Joyce for gg very strong w yr bake offs!